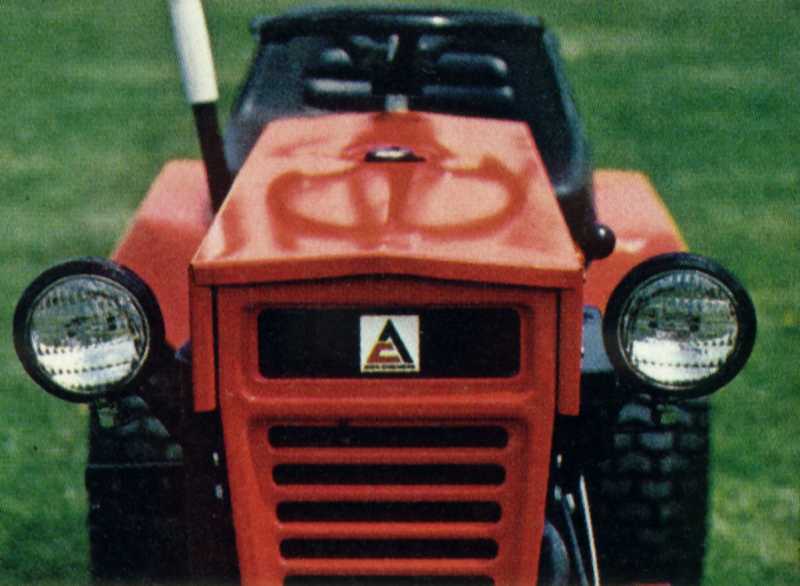 HEADLIGHTS . . . a beam for each hood side to throw a lot of light on after-dark lawn and garden work. 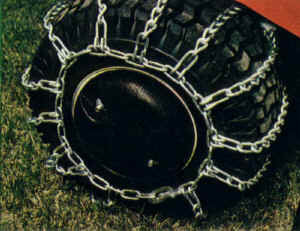 TIRE CHAINS . . . slippery traction conditions call for an extra bite. 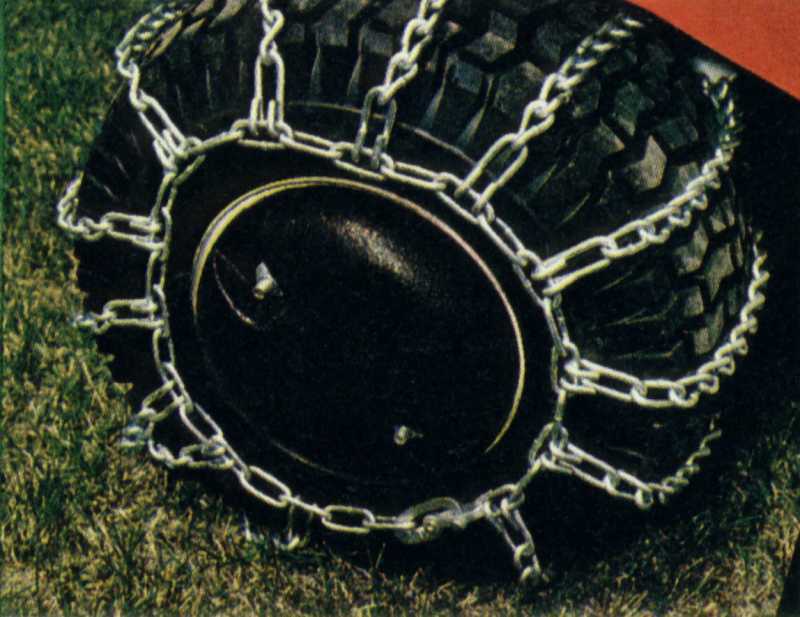 Tire chains give it. 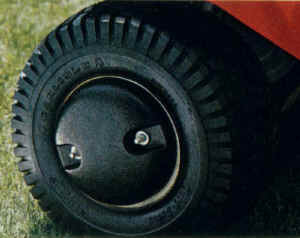 REAR WHEEL WEIGHTS . . . 33 lbs. 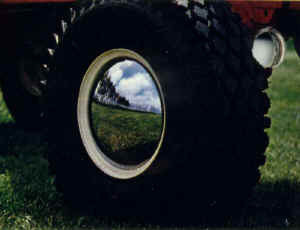 of extra iron adds more grab to tire lugs. 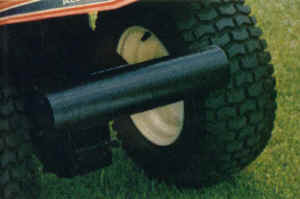 Gives pull-through traction with plows, harrows, snow throwers. CHROME HUB CAPS . . . a touch of gloss and class for the man who takes more pride in his tractor. 47 LB. FRAME WEIGHT . . . the ideal add-on when standard rear wheel weights don't supply enough down pressure to match traction or draft.